Charming ocean and garden view top floor upgraded artist home. Kathy McCartney owns popular C618 located on the top floor of building C at the Kihei Akahi Resort. Enjoy spectacular views of the Pacific Ocean, Mount Haleakala, Kaho'olawe Island, Molokini Crater, tropical gardens, and glowing sunset skies. This beautiful 655 square foot home has textured ceilings/walls and Crown Molding with tropical furniture, island style artwork, and Asian accent pieces. The decor has many rich colors sure to please the eye. Kathy's home has new tile floors throughout the condo, new cabinetry and counter tops. This unit has AC in the living room and FREE secured 5G speed Wi-Fi cable Internet access for your laptop. New large 32" tub/shower Kohler brand with natural Travertine walls and glass shower door. New very comfortable King size bed. Stay in comfort in one of the best valued properties and best building location at the Kihei Akahi Resort. We attract repeat visitors year after year. The well maintained Kihei Akahi complex has two swimming pools, BBQs, and a tennis court surrounded in a tropical landscaped setting. This complex is directly across the street from popular Kamaole Beach Park II and another five minute stroll to the border of Wailea and then Keawakapu Beach. Picture Beautiful Kamaole Beach Park II sunset! Enjoy this wonderful beach and stay in our beautiful ocean view condo directly across the street at The popular Kihei Akahi Resort. Kathy McCartney is the owner of MauiVision Rentals. MauiVision became a reality and a business starting with Ms. McCartney's personal condo C618. The idea to start her own business came about while working for her friends Sharene and Harrison Klein of Hawaii-Holiday. Her friends were in need of a vacation and Kathy volunteered to house sit their beautiful Big Island home and business office. The Klein's have been a guiding force in helping Kathy get started with her business. 'MauiVision is a business I love because I get to share the Aloha Spirit, the beauty of the land, and talk story with people from around the world. It is nice to know that we can contribute to someone's Hawaiian vacation experience in a positive way. We love to hear back from our happy guests.' Kathy used to live on the island of Oahu with her US Navy family when she was a young girl. Her family later moved to Southern California. She knew that one day she would return to Hawaii, the place she fell in love with long ago. Taking a leap of faith she purchased her Maui condo June 2002 this was the beginning of fulfilling her prophecy of once again returning to Hawaii soil. Kathy is an artist who is inspired by the beauty of the islands. She captures the beauty she experiences with oil paint on canvas. 'Painting the beauty of the Hawaiian Islands is another way for me to feel close to this special place I call home. I moved to Maui full-time year 2012 and paint the Hawaiian landscape and people. When I began my search for Maui home I kept repeating to myself location, location location! The realtor I worked with at the time told me how wonderful the Kihei Akahi Resort is in terms of attracting repeat visitors. So after viewing several properties over the Internet I bought my home away from home not having viewed it in person. I took a big chance to follow my dream to Maui and two months after the purchase, I did finally get a chance to visit my new home. I was nervous and also very happy about my decision. The location is wonderful like the realtor and others I interviewed expressed. We are directly across the street from desirable Kamaole Beach Park II and other great beaches that connect to ours. Everything is nearby and within walking distance of our condo: beach, restaurants, health food store, yoga studio, entertainment, shopping etc. My particular property is a top floor unit away from the elevators and road so it is in a nice quiet section of the complex. As the years have gone I have made many new friends in Kihei. Our home owners association is one of the best. Our property grounds are well maintained and cared for. The staff is wonderful and faithful and many of them have been working at the Kihei Akahi for years. My condo is not just a vacation rental it is our home away from home. We have many repeat visitors who feel this is a beautiful place to vacation because it is not cold and sterile like a hotel room, it is warm and inviting. C618 my home, is located on the top floor of building C at the Kihei Akahi Resort. Here you will enjoy spectacular views of the Pacific Ocean, Mount Haleakala, Kaho'olawe Island, Molokini Crater, tropical gardens, and glowing sunset skies. Not only will you experience more peace and quiet on the upper floor but we get a nice breeze off the ocean. We provide our guests with free Wi-Fi Internet cable access for their laptops. This beautiful home has recently been updated with new textured ceilings/walls, new paint and Crown Molding; tropical furniture; island style artwork and Asian accent pieces. The décor has many rich colors sure to please the eye. Kathy's home has new tile floors throughout the condo, new cabinetry and counter tops. This unit has new AC (June 08); new side by side refrigerator ice maker with water dispenser. If my home is not available I help rent other properties at the Kihei Akahi Resort and a home in Haiku, and several beautiful properties in Ka’anapalai. NEW High speed Internet Access! Some of our properties come with their own computer for you to use, full kitchen with dishwasher, refrigerator, stove, oven, microwave, all cooking utensils and dinnerware, washer and dryer, free parking, linens, iron and iron board, beach chairs and towels and much more. Some of our properties offer much more than what is mentioned here in this general 'Amenities' description. It was perfect for us. We loved the condo and the location. The views from the lanai was awesome. We spend most of our time golfing. Beautiful golf course in the area! The beach across the street was great too! The welcome package was a nice touch! We have stayed at Kihei Akahi several times so it was like "going home"
There was an issue when we first arrived but Kathy addressed the problem quickly and we had a wonderful time. We would not hesitate to recommend this accommodation to our friends. Great value in a lovely condo. We are regulars at Akahi but this was our first time in 618. Loved Kathy's art and enjoyed the great ocean view. The TV screen setting made everyone look short and wide so my husband adjusted it. Now they all look tall and skinny. Sorry about that. He is not good with technology. We really enjoyed our week-plus stay in C618. One bedroom with pullout sofa bed in living area. Great views of ocean, garden below and Mount Haleakala! Apartment is fully stocked with kitchen accessories and all you'd need to take to the beach. The grounds are beautiful and we had access to both swimming pools and the tennis court. Great location across from Kama'ole Beach 2 in South Kihei. Owner is very responsive and cares about the comfort of her guests. We hope to return soon!!! We stayed in this beautiful unit, Kihei Akahi C618, while on Maui this last visit. We have worked with Kathy on multiple stays, she is amazing! This unit has everything and more for a wonderful stay on Maui. The king size bed is very comfortable, the furniture is island inspired. The kitchen has everything we needed, including filtered water.There are chairs and boogie boards for the beach, which is right across the street; the beach umbrella is perfect to take along for long days in the sun. The views from the lanai are awe inspiring, dinners in were spent enjoying the amazing views of the ocean and the landscape! The location of this condo is perfect; many reataurants and shops are within walking distance. This unit has WIFI and many movies to enjoy after a day of enjoying the island. We would recommend C618 or any of the properties Kathy manages, as you know you will be taken care of immediatly if needs arise. The A/C kept us cool on extra warm days, but the breeze is amazing up on the 6th floor. We will use this unit again, thank you Kathy for this beautiful unit. We are back in Canada after having a great stay in Maui. We really appreciated the nice touches found around the unit – the reno’d bath and kitchen, great art work everywhere, comfortable furniture, great king bed, even the pineapple desk lamps were a nice touch. 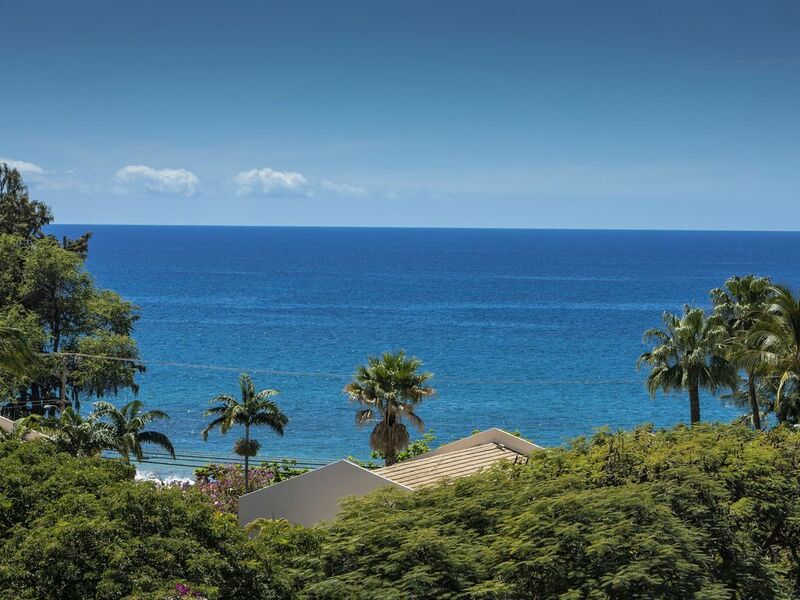 Location is great being in the middle of Kihei, walking distance to most things. Everything is in the unit that you might need for a stay - beach umbrella, towels and chairs, snorkel gear, boogie boards, and a raft of other items. We had an issue with a loud A/C unit. As soon as we mentioned it to Kathy, it was replaced the following day! That's great service. Being up on the 6th floor (yes, there is an elevator), there was usually a breeze that was able to keep the unit pleasant. In the summer, the A/C probably wouldn't be able to keep the unit and especially the bedroom from being quite warm. For us in October, it was pleasant to warm. There are extra fans that can be used to keep cooler. Wifi, was limited in the unit, however this was also fixed fast when we were supplied with another router to connect to. Kathy is obviously a great host and kept us happy. Communication was great and she even allowed us to check out late at no charge. $200 Deposit required to hold reservation. Balance due 60 days prior to arrival. Cancel 60 days prior.